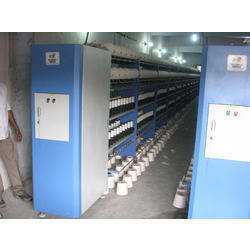 Providing you the best range of yarn covering machine and jari covering machine with effective & timely delivery. Yarn Covering Machine offered is manufactured to fit hollowed spindles. These feature use traverse tapering device that make these machines hold different types of controls. Further, these can also be developed in specified configurations like fully mechanical as well as fully electronic system configurations.